You can create templates of a complete budget including budget items. If you want to create a budget template out of an existing budget, you can do so in the respective Project Budgets directly. You can also create a budget template from scratch in the InLoox Options. 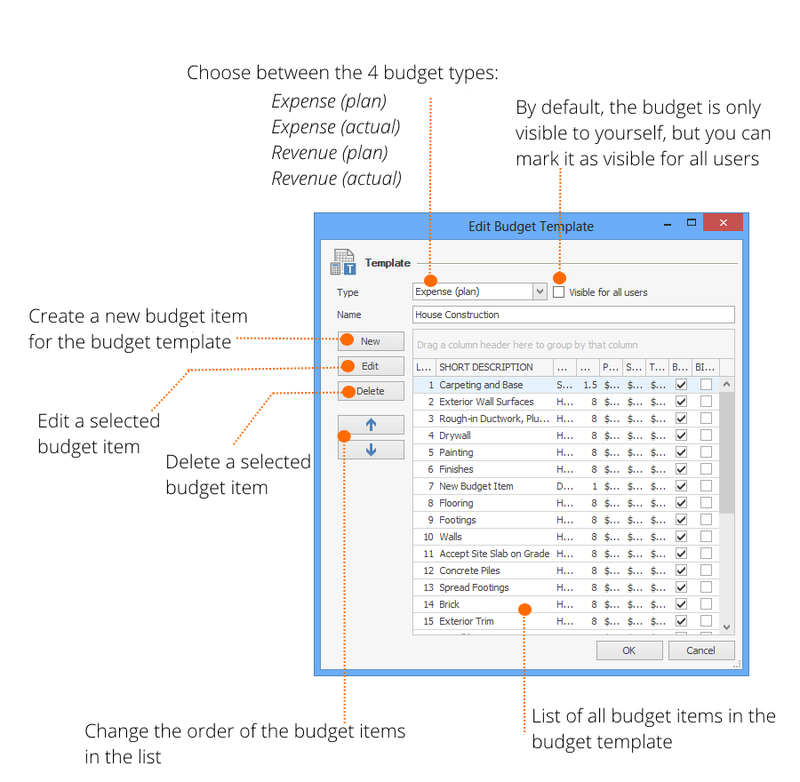 There you can also edit and delete existing budget templates. 2. Click on New to create a new budget template. Visible for all users – By default, the budget is only visible to yourself, but you can mark it as visible for all users. Name – Give your budget template a clearly distinguishable name so you and your team members can easily find it later. Edit and Delete - Mark the budget item which you want to edit or delete, and click on Edit or Delete respectively. Order of budget items - Change the order of the budget items in the list by marking a budget item and move it up or down by clicking on the arrows. 4. Click on OK to save your new budget template. Budget templates - InLoox • Copyright 1999-2019 © InLoox, Inc. All rights reserved.